In 2001, the Central Association of the German Insurance Industry tallied claims in the transport insurance sector at approximately 1.7 billion euros. In addition to increasing insurance premiums, this trend impacts negatively on the image and customer satisfaction of the transport sector, and more broadly industry and trade. 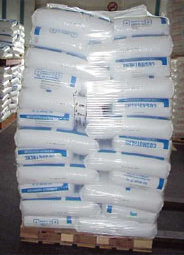 Pallets secured with GRIP FIX™ do not slip even if the contents of the packages are not stable i.e. 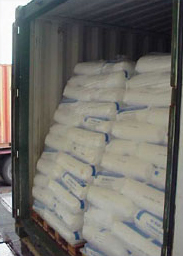 when transporting granulate-filled PE bags or bottles in cartons. Transporting goods secured in this way reduces complaints and removes the hassle of returning goods.